As true hybrids between aeroplanes and helicopters gyroplanes have unique characteristics that every pilot should know about. 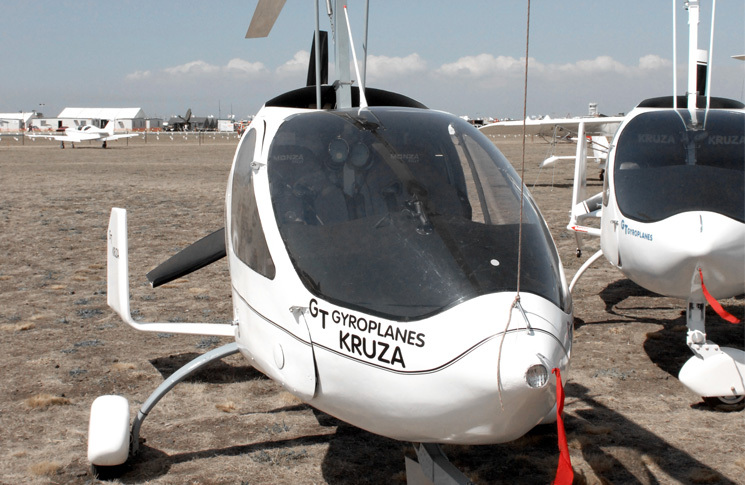 Gyroplane is the official name for an aircraft that uses a free-turning rotary wing. They are also known as gyrocopters, gyros and sometimes, autogyros. A gyro looks like a helicopter to the layperson but differs in two fundamental ways. The rotor blades are turned not by an engine, but by the gyro’s forward motion through the air. And that forward motion comes not from tilting the main rotor disc as a helicopter does, but from a separate propeller. A gyro’s rotor is in constant autorotation, just as a helicopter’s is in an unpowered landing. Complicating the definition is the fact that some gyros pre-rotate their rotors before take-off with a driveshaft clutched to the propeller engine, or an electric motor. But this is only to allow a shorter take-off and never used in flight. Gyroplanes have somewhat different flying and performance characteristics to fixed wing aircraft. They have high drag and are therefore relatively slow, with typical cruise speeds of between 50 and 60 kt. The gyro’s advantage is not top speed but its ability to fly slowly, which is why under the name autogyro they were developed in the 1930s as a precursor to the helicopter. Unlike any fixed-wing aircraft they have the sometimes-handy ability to safely make a vertical descent to wash off altitude quickly. Gyros cannot stall because the rotational speed of their rotors, and hence their lift, is not dependent on forward speed. At zero forward airspeed a gyro will slowly descend, to a survivable landing. However, gyros can lose rotor speed if the rotor disc angle becomes too shallow. In normal forward flight the gyro rotor disc tilts backwards, but as all properly trained gyro pilots know, the disc comes closer to horizontal as forward speed increases, (in the same way a fixed-wing’s angle of attack decreases with speed). This increases the risk of a power push-over and loss of rotor speed as forward speed rises. With its excess of lift the gyro can execute a steep turn at any time—it doesn’t need to be travelling fast to do this. However, the flip side of its aerodynamic coin is a poor glide ratio, at best in the vicinity of 4:1 in ideal conditions and no wind. But when the wind blows, gyros can handle it. Many designs are able to handle wind strengths exceeding 35 kt safely. Gyros are often described as short take-off and landing aircraft. This is not always true; take-off distance depends on ambient conditions (like any other aircraft), particularly headwind strength, and the amount of pre-rotation applied by the pilot before the gyro starts its roll. Depending on wind strength, gyros can come to a halt within 30 metres or less of touch-down point. 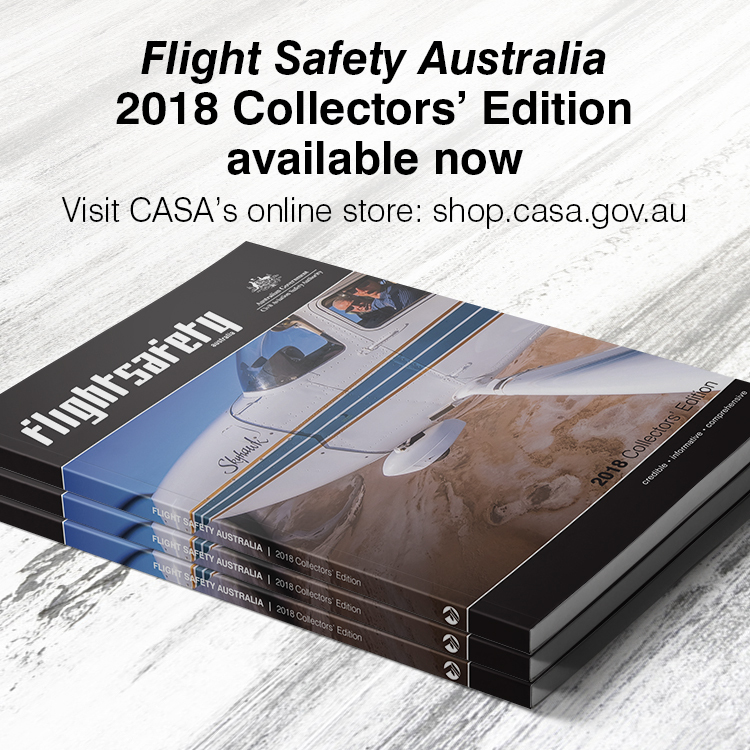 At this stage the gyro’s rotors are still rotating near flying speed so a gyro pilot will pause with the stick fully back and then move the stick forward, tilting the rotor disc forward to allow the rotor speed to decay before leaving the runway. This pause is typically fewer than 30 seconds. Under CASA CAO 95.12 & 12.1, gyros are classified as an ultralight with a maximum flying altitude of 500 ft AGL unless the pilot holds a specific endorsement. Gyros may also legally operate at a minimum altitude of 300 ft AGL and even lower over private property with the permission of the landowner. A standard gyro circuit is flown at 500 ft AGL. Other than these differences, gyros operate under the same CASA regulations as other ultralights. Gyros fly their circuit legs close to the active runway for two reasons. Firstly, they do this to compensate for their poor glide ratio in case of engine failure; and secondly, to improve the likelihood of faster aircraft seeing the gyro in the circuit. Gyro pilots are trained, wherever possible, to use idle power on approach to ensure they become well practised in simulated engine-out approaches. This means gyros typically fly a short final with a steep approach angle. This technique can lead to potential traffic conflict with faster fixed wing aircraft that may have to do a last minute go-around when they finally see the gyro ahead and below them. But these potential conflicts can be easily sorted out by sensible use of radio to advise and coordinate between aircraft. Fixed-wing pilots waiting to take off also occasionally fail to look up as well as out, thus forcing a landing gyro to take last-minute evasive action to avoid a possible runway incursion.